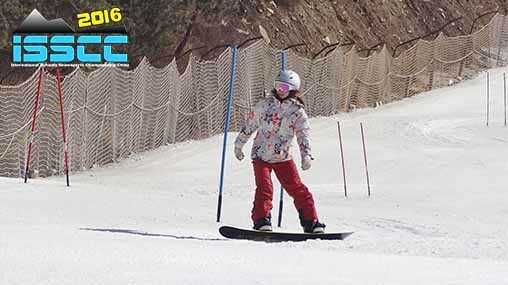 ISSCC Ski & Snowboard Race Weekend in Chongli | Imagine. A fun ski weekend for families and teachers! Racers will have two timed runs down a narrow race course and the fastest of these will be used to calculate the final results. One run on the red course, and one on the blue course to ensure that everybody gets a fair chance. Racers will go head to head to add an extra level of competition and excitement. The actual result of whether you come first or second in your race does not matter, simply the time in which you do it. Time begins when you leave the start gate and ends when you cross the finishing line. Missing a gate will mean that that run will not count. If you miss a gate on both of your runs you will receive no time and therefore no score. Racers will have two timed runs down a large racecourse and the fastest of these will be used to calculate the final results. Here competitors will have 2 scored runs to show off their creativity and style. The points for the best of the 2 runs will be used. Competitors can score points on the jump, box and flatland area. They will receive a score based on an average from the two judges. Falling will deduct from your score but will not disqualify you. Wechat, Alipay, Company Bank Transfer, Paypal in foreign currency +5%, Cash in Office (near WAB), or cash to our staff at any activity. Normally everyone should sign up individually on here. In some cases, a school teacher will take charge of gathering and organizing a team, but in that case, they would still direct you to fill in the form here. I’m a teacher. How can I help to enable the school to enter a team? / 我是一个老师。我怎样才能帮助学校加入一个团队? We email as many sports directors as we can find, to inform them of the event and give them the chance to formally approve their school’s entry. So perhaps your Sports Director already knows about it, and you can talk to them. If they do not know about it, you can help us to inform them, and put us in touch. If the Sports Director approves a school representation, the next step is that they should choose teachers to go to the event. If you are interested in being one of these volunteers, please ask your Sports Director if it can be you! Teachers like you make the event possible. So you are more than welcome to get in touch with us to discuss further, or set up a meeting in school. Do I enter as an individual or as a school team? / 我是作为一个人还是作为一个学校的团队? Everyone should fill in an individual form here to sign up. If your school sports department has sanctioned (approved) your school to be represented at the event, your achievements count towards your school’s points (and maybe trophy!). If your school has decided not to enter this year, you will be racing as an independent individual, so you may get medals but not school points. Of course! In fact, every student MUST be accompanied by a named responsible adult for the whole trip. This is not an Imagine trip or a school trip. It is a family trip. Imagine is only responsible for the competition itself. Please fill in one form per parent or family member accompanying the student. We cannot be responsible for students outside of the race area. Every student must be accompanied by a designated adult, whether that is a teacher, parent or friend’s parent. The adult must ski with the student from the race area to the lift and accompany them on the ski lift. The advantage is, when they are not competing, you are free to go off skiing together! Yes, many of the participants have never done slalom before. We will give all participants the chance to try out the race course in the morning before the competition starts. Imagine instructors will be at the top and bottom to give support and helpful tips as students try it out. Kicker Freestyle gives students a chance to show off their moves! Just below the race course, there is an area where students can demonstrate tricks on the snow such as spinning, skiing backward, skiing on one foot, snowboard nose-rolls etc. Judges will stand by the freestyle area and give points for creativity, difficulty, and style as students ski past. Watch a video on this page of Peter demonstrating some moves you can try. That’s a secret… Sorry! There are some great prizes of course, but the biggest reward is still the proud feeling and great memories of standing on the podium collecting the medal. If you represent a school team, your teachers will probably also be very happy with you! Please find your own accommodation for the weekend. If you need a ski pass and/or equipment, please book directly with the ski resort. By paying the sign up fee, students are automatically entered into all competitions. That is Giant Slalom, Dual Slalom and Freestyle. Don’t worry if you think you are not good enough for one competition. Many people will be doing it for the first time too! If you really are too nervous to do one of the three competitions, just let us know in advance so we can remove your name from that list. But it’s really worth a try! Congratulations to the best schools in their categories! The competition was a great opportunity for students to display their abilities and elevate their schools' names while having a great time.